Incredibly well-connected with links to city and country, you can be at London King’s Cross in 25 minutes by Tube which is only a 6 minute walk away, or onto the M1 just 5 miles away, connecting you to Hertfordshire and beyond. 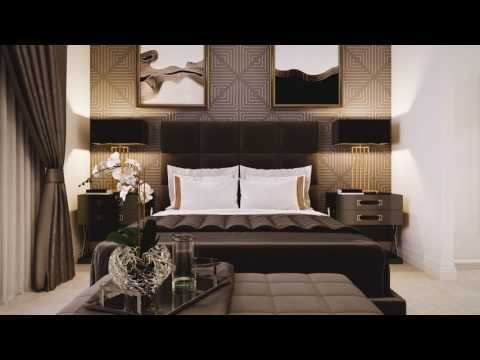 The apartments are available with a variety of 1, 2 & 3 bedroom layouts to suit a multitude of lifestyles and all homes at Totteridge Place benefit from the ultimate convenience of a concierge service. Our superior specification includes a Sonos sound system, flooring throughout and the highest quality fixtures and fittings by high-end manufacturers such as Nobilia, Siemens, Villeroy & Boch, Hansgrohe and Porcelanosa. Totteridge & Whetstone is a vibrant place to live, with quirky cafes and fine eateries lining the High Road plus a variety of shops and amenities to choose from on your doorstep. Whether you are heading out to catch up with friends over a coffee or commuting to work, Totteridge Place has been designed to make everyday life easier. Your everyday needs are well catered for, but with Totteridge & Whetstone Underground Station just 450m away, the whole of central London is also with easy reach. Situated in Zone 4 on the Northern Line, you can reach King's Cross in less than half an hour. The popular nearby areas of Finchley, Mill Hill and Highgate are all less than 20 minutes away too. These charming urban villages are the perfect place to spend your weekend perusing the boutiques and stopping at the independent cafes and restaurants. Totteridge Place provides a perfect balance between cosmopolitan central London and a calmer suburban lifestyle. Totteridge & Whetstone is well connected so you will find travelling easy, whether it is in the UK or abroad, for business or pleasure. Totteridge & Whetstone Underground, in Zone 4, is just 450m away and offers regular connections into London. Travelling on the Northern Line, you can reach King’s Cross in just 25 minutes, which also offers routes to Paris and Brussels via the Eurostar at St Pancras Station. Alternatively, you could head to Oakleigh Park Rail Station and catch a direct train into Moorgate, which takes less than half an hour. The M1 motorway is less than a 20-minute drive away. There are a number of bus services along the High Road, so you can easily visit neighbouring areas such as Finchley and Highgate. Visiting the Show Home? The nearest public car park is: St John's Church Hall, Friern Barnet Lane, Whetstone, London N20 0LP (charges apply). On Saturday 9th March Crest Nicholson will be offering a unique opportunity to ‘Ask the Experts’ at an exclusive home buyer event, hosted at Totteridge Place in Whetstone, North London. From first-time buyers to second-steppers or those looking to downsize, a range of independent property experts will be on hand to offer tailored advice and support on property ownership in the local area. Prospective buyers are invited to join us at Totteridge Place in Whetstone for an exclusive first look at the luxurious new four-bedroom ‘Hawksmoor’ show home on Saturday 19th January. 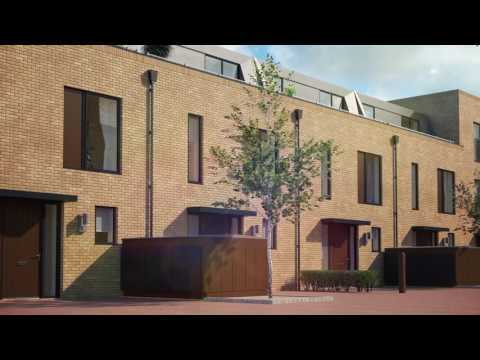 Located in one of London’s most sought-after neighbourhoods and boasting stunning interiors that match its enviable North London postcode, the townhouse is expected to be incredibly popular as more buyers turn to the Zone 4 hotspot. Award-winning developer Crest Nicholson has announced the launch of its new show home ‘The Archer’ at Totteridge Place, Whetstone. We’re hosting an Ask the Experts event on Saturday the 9th June from 11am to 4pm at Totteridge Place in Whetstone. This popular development comprises a collection of one, two and three-bedroom apartments, and three and four-bedroom houses, with some homes available on the Government-backed London Help to Buy scheme or Part Exchange.